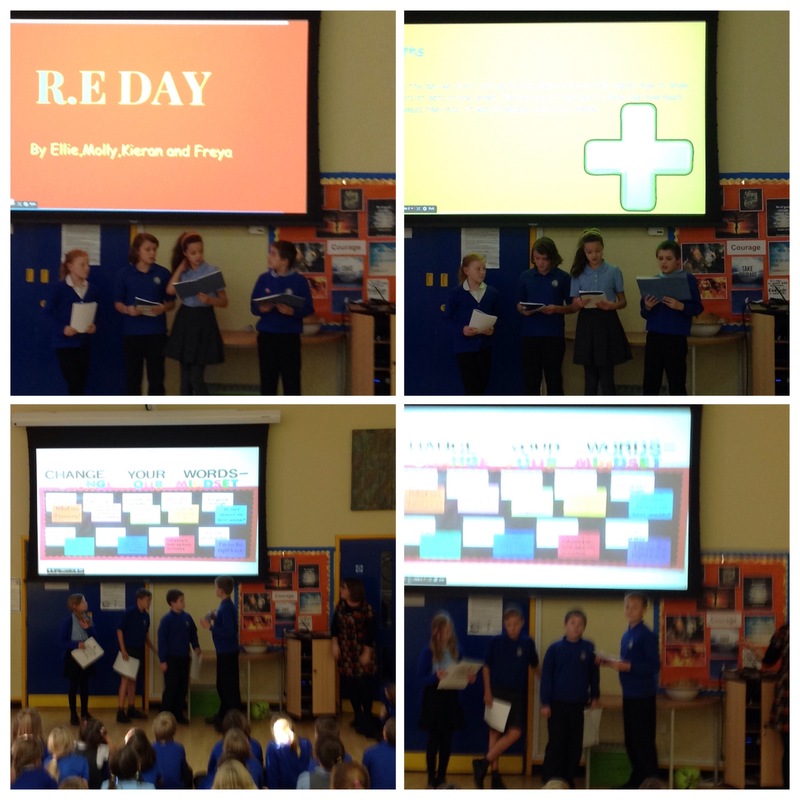 We had a lovely Assembly from Year 6 today. 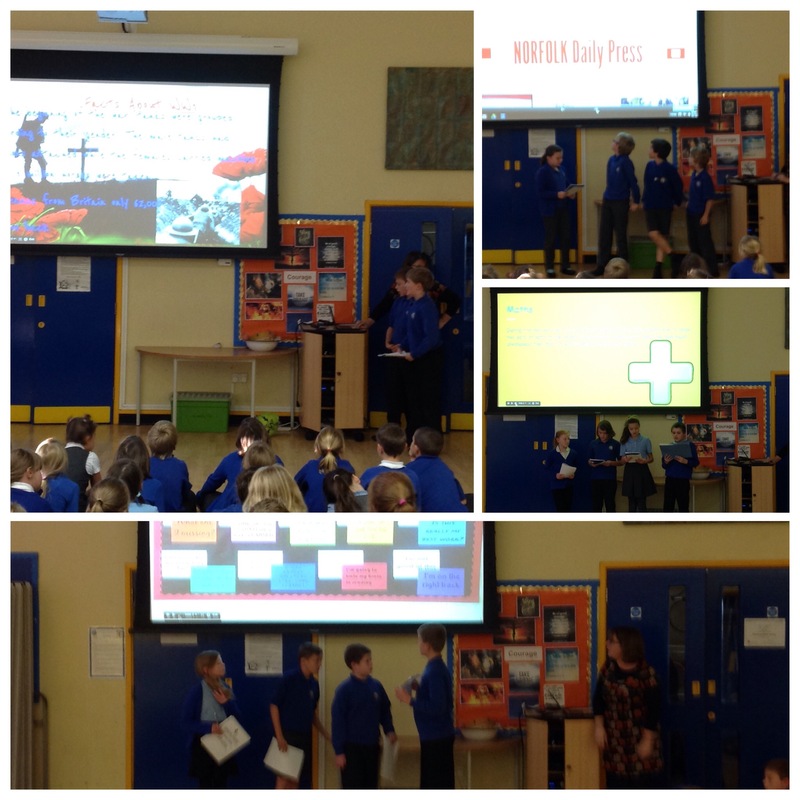 They shared all the work and activites they have recently experienced – We were all amazed at how they manage to fit everything in and the fantastic role models they are for our school. 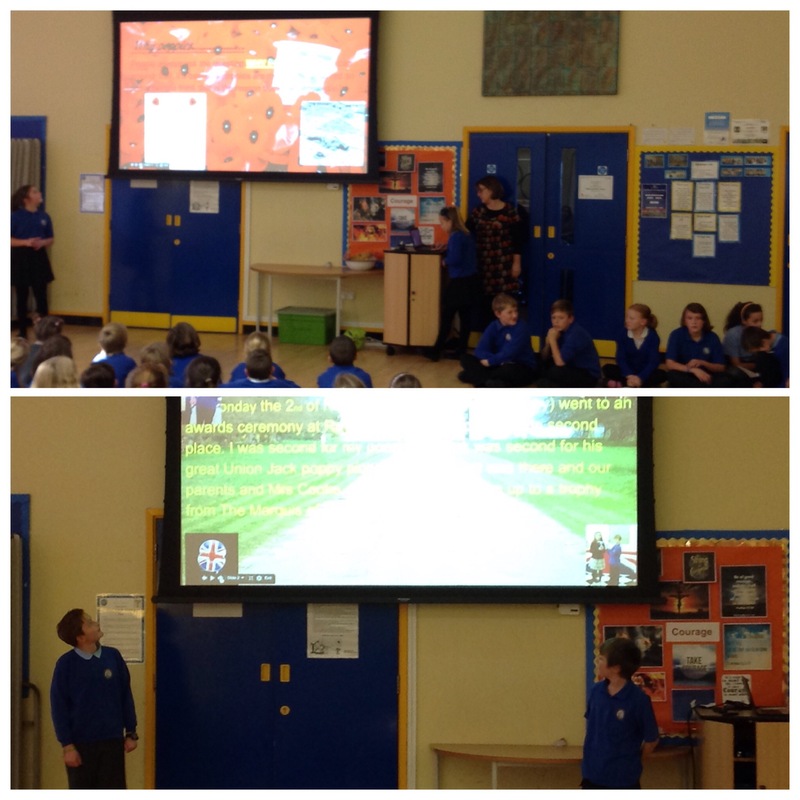 The children discussed their Philosophy workshops they had with Mrs Jeynes and how important it is to tell the truth. We then had a ‘Maths Mastery’ lesson lead by Daniel, who introduced us to the term of ‘Mugwumps’ – Mathematically Undiscovered Genious With Upwaldy Mobile Potentail !! Following that the Year 6 pupils talked about the Memorial we attended and why it it important to respect those that have fallen or those that continue to make peace in our world. 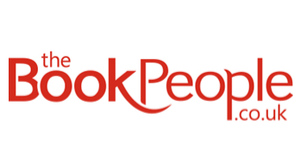 Next, winning an award and attending a presentation at Raynham Hall for Poppy poems and artwork. Well done Year 6, you have been amazing ambassadors for our school today. The transformation of Freya and the other year sixes as they have developed from nervous but curious four year olds to the confident ambassadors in year six has been wonderful to follow. Having been through the school once before with Calen, I am very happy that Freya and now Leon get to start and finish their primary education in such a positive and nurturing school.